I went to your house and fixed you lunch. Boiled the new potatoes and buttered them. Dressed them with salt, and pepper. And in the dill, green and feathery. Ate tomatoes and cucumbers dripping with juice. Love you mom. Always and forever. A photo taken a few minutes before my mom, Lucie Hellberg, passed away in hospice last week after suffering a stroke; a complication of her long, and valiant battle with cancer. 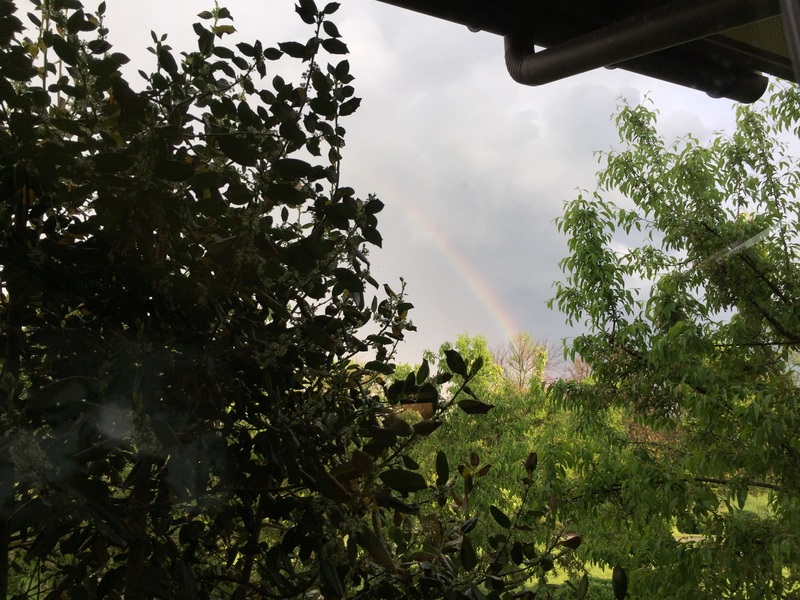 She took her last breaths just as a rainbow appeared accross the sky following the first spring thunderstorm. Her nurse took this photo. I am so sorry. I love you.